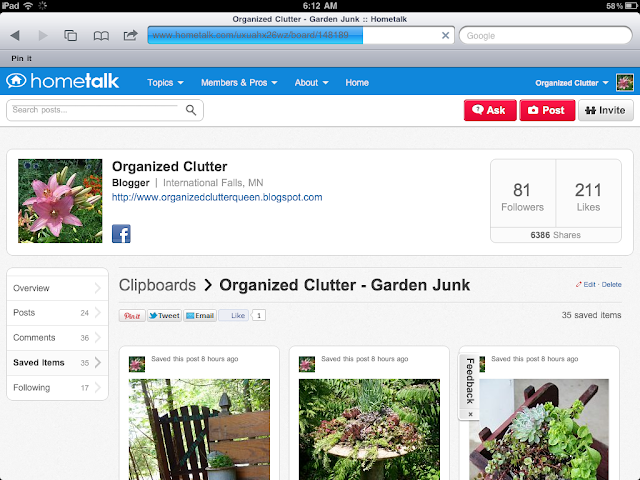 On November 8, 2012, I announced on my blog that I had created a clipboard on Hometalk for Garden Junk ideas. I had just 81 followers and 35 clipped posts. 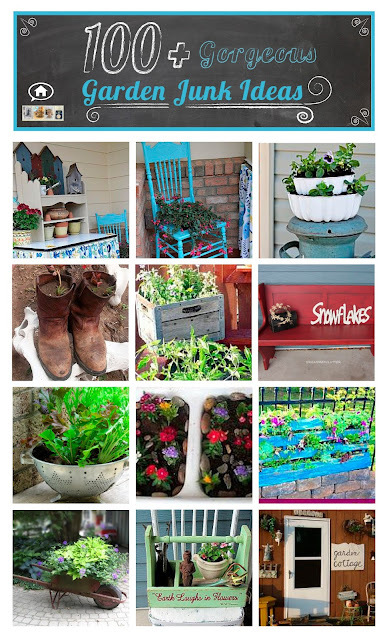 As of today, I have over 6000 Hometalk followers and over 100 Garden Junk saved posts. Click on the graphic above to be re-directed to my Hometalk clipboard. 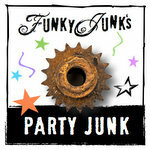 I invite you to follow me and my fellow Hometalk members as we decorate our gardens with great junk! I have a great season planned (if the snow ever melts in Northern Minnesota)! Wow! Congratulations! I'll have to check it out. But, I'm not at all surprised. Your gardens are such an inspiration to us all! 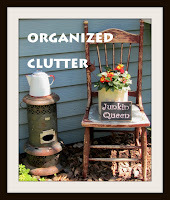 Thanks for including some of my repurposed projects, Carlene! Wow! That's just awesome Carlene! I'm trying to look at Home Talk more and have a few boards there too. I'm still learning how it works. Okay, we discussed this and I still haven't done the hometalk sign up. Gotta get on that. Love how things have grown by leaps and bounds, just like your junk garden. I just signed up, I can't wait to browse! You have such lovely gardens, Carlene...I really need to get going more on there...so much wonderful inspiration! Hope you don't get too much snow this week~ they are saying we will get up to 10"!! Thanks so much for stopping by my Bachman's house posts! So many great ideas! Can't wait to get outside!! Good for you, Carlene! I can't wait to see what you've got planned for your gardens next year! Fabulous! I haven't even taken the time to figure out how to clip and make a board.